Most people who have reached a high level of success in the restaurant business know that there is no such thing as a shortcut. Yes, prep and line cooks are worked very hard without adequate compensation. In some respects I can empathize with this reality and wish that it were different. But, on the other hand, every cook who is committed, passionate, anxious to learn, and good at goal setting, can enjoy a career that progressively becomes more rewarding in numerous ways. It is more that the “School of Hard Knocks” – success comes from establishing a plan early on. Creating a strategy for success is the only way to get to where you want to be. NOTHING is automatic and EVERYTHING must be earned. This is a lesson for everyone in any field. Time in the business is not the only gateway to success; doing your job is not the only gateway to success; and the fact that you may have a degree in culinary arts is not an automatic “fast track” pass. It takes time, talent, determination and a roadmap to get to the position of chef or chef/owner. Yes, you have to pay your dues, remain hungry, and give more than you get – always. So…what are the parts of that roadmap and how does a cook go about building a plan for success? Start with the end game – “I want to eventually be an Executive Chef in a 4-diamonf hotel”, or my goal is to “Own and operate a small restaurant with a focus on traditional American cooking”. This is the carrot, this is where your dream position resides, this is your happy place. Now the question is how to get there. Once the end is defined, it will become essential to understand what skills and aptitudes, necessary of those positions, are lacking in your repertoire. It may be technical cooking skills and/or the ability to manage a business, lead people, or build a concept, etc. Knowing what you don’t know is likely the most important part of building your roadmap. What is the absolute best way for you to acquire those skills or aptitudes? Who are the best people to learn from? What is the progression that must be followed to ensure that those skills sink in? How will you know when those skills have become an integral part of your personal brand? It may be classes or even a degree, or it might simply be a strategic plan to work at various restaurants, with certain chefs or managers, and specific environments that are known for mastery of that skill. Ego without substance is the kiss of death for a chef. Don’t ever give up on your roadmap, but once a skill is mastered know that there is still so much more to learn. You aren’t there yet. This may be the most important component of your roadmap. Identify the chef, manager, or other professional in the business that cares enough to push you, provide honest critique, help you to adjust and stay the course, and most importantly is there to be an honest coach who will take no prisoners when you stray from the defined course. Read, study, visit, network, and find those businesses and people whom you admire and whom you want to emulate. What is it about these individuals or businesses that sets them apart? Learn everything you can about them and build their methods into your roadmap. Great chefs are people of principle. Great chefs have a philosophy about food that is essential in building a brand and setting themselves apart from others. It will be your “stakes in the ground” that make you interesting and help to push your career forward. 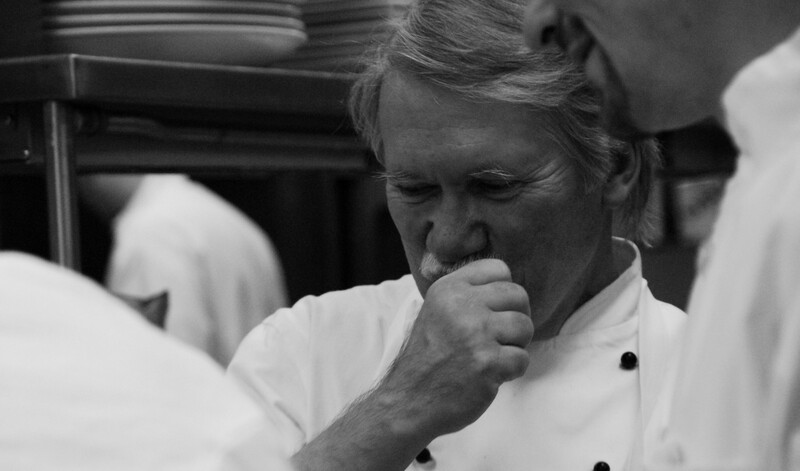 Your philosophy is part of your signature as a chef. Sorry, if you really want to stay true to your roadmap then you need to commit beyond your posted schedule. Volunteer to help on special events where you might pick up a new skill, sign up to participate in cooking competitions, attend conferences and workshops, offer to come in on your day off to help the chef with inventory, read cook books and management books, and make the commitment to constantly improve. This is an investment in your future! Everyone who works in a restaurant has something to offer. Watch how they work, what unique methods they use, how they interact with others, how they organize their station. It all counts! Every observation will help you solve a problem or complete a task at some point in your career. This should be your daily objective. Even the smallest detail builds on your marketability. How a person holds a knife, how he or she peels a vegetable, organizes a work station, and prioritizes work; how a server opens a bottle of wine, how the porter holds a mop when washing the floor – every day, learn something new. The team that you want to build in the future is the same as the team that you choose to support today as a cook. Be the team player that you want others to be in your kitchen. Mistakes are inevitable, frustrating, and sometimes embarrassing. It’s ok to make them – just don’t make them again. Learn how to prevent the same mistakes in the future and then prepare to teach others when you hold that position of chef. As I have stated in other articles – the sign of a great chef goes beyond the quality of food that he or she is responsible for. The sign of a great chef is one who gives back to cooks, owners, patrons, peers, the industry as a whole, and those who may be less fortunate. Define how you want others to perceive you by being generous. Your resume is an outline of your brand. Your brand is how others view you and define why anyone would want to hire you, promote you, support you, buy your food, or work in your kitchen. Know how you want to be viewed and work to build this brand through your daily actions. Being realistic means remaining patient. If you want that carrot (the chefs position) then know that it will take time and dedication. People are not born a chef. The skills necessary to hold the position are acquired through hard work, patience, and exceptional planning. If you really want to become a chef – you can.